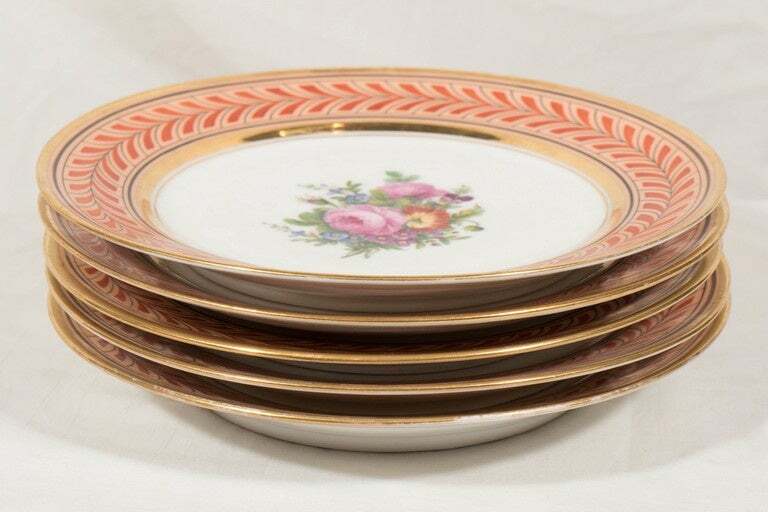 A rare and beautiful set of eleven Edouart Honore, Paris porcelain dishes. 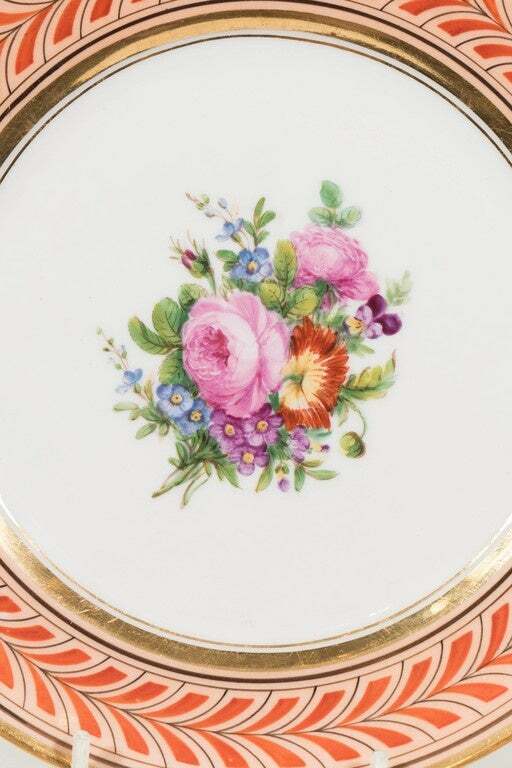 These antique French porcelain plates are each hand-painted with a unique bouquet of beautiful flowers. 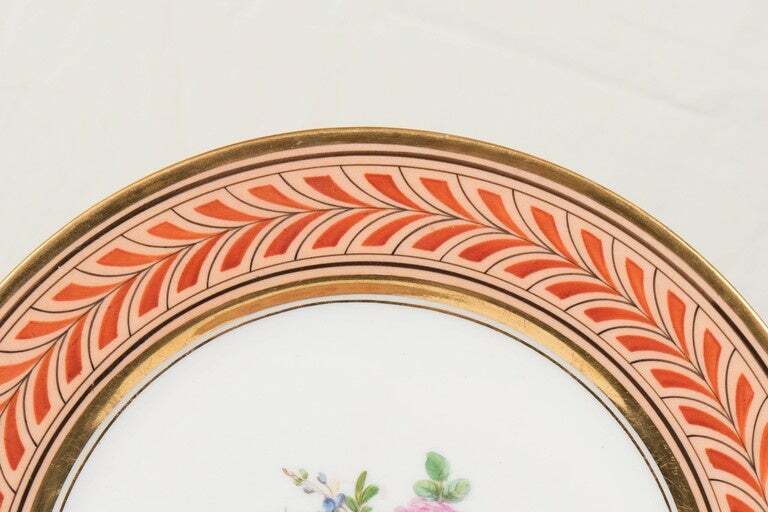 Pinks, greens and light blue play against the border which is painted with eye catching red chevrons on a beige ground. These stunning dishes would make a statement placed on a dinning table, on a dining room wall, or in a lit cabinet. Dimensions: diameter 8.75 inches Condition: Excellent Price: $3800 Background of ED Honore Edouard D. Honoré headed one of the major porcelain manufactories in Paris. 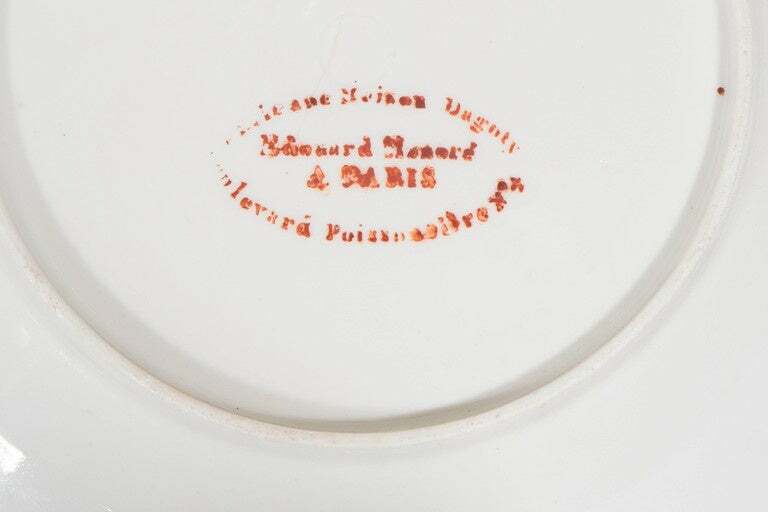 Following his father, F-M Honoré, into the porcelain business Edouard's first partnership was with P-L Dagoty and, after its dissolution, he continued independently with a factory at Champroux, a saleroom at Boulevard Poissonnière in Paris, and studios in Montparnasse for hand-painting his original designs. Honoré took out several patents for the application of high-temperature colored grounds. 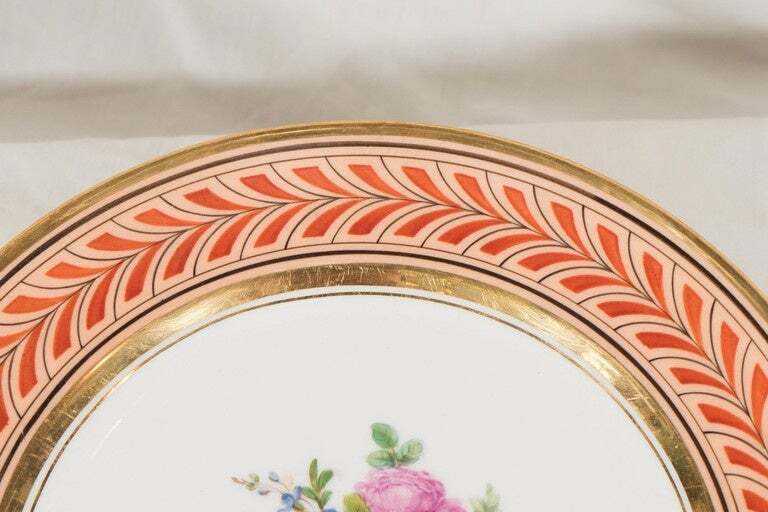 Three rare porcelain plates decorated and made by Bucciarelli, Milano in the 1960's. 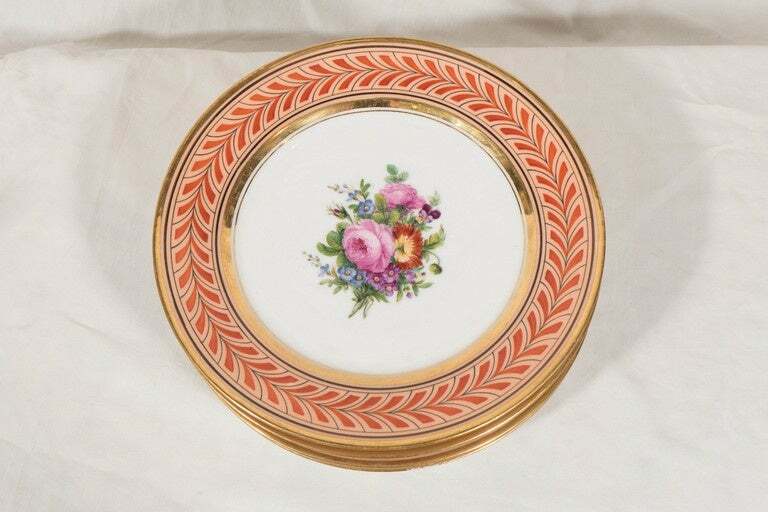 The plates have a diameter of 26 cm and are in great condition. No damage.